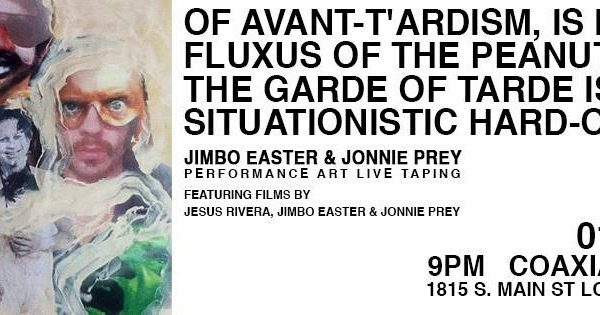 “Of Avant Tardism: Los Angeles Edition” brings us all the way from Detroit, Michigan, the infamous Jimbo Easter. This will be a live taping, part of The Expierimental Half Hour Show: Two seperate live performances bookmarked by 2 short films by Easter & Prey and Jesus Rivera. *All donations will go to our fundraiser to keep us open for much more exciting programming!